The wait for Alpha 7 is finally over, and with it comes brand-new additions such as Lasers, Cheat Codes, and revamped Graphics! - Added a floor to all Arcade and Story Levels. level, just what level you're on and some statistics). - Added Highscores for Arcade Mode Levels. - Added a Timed Laser and Laser. - Added Levels 40, 41, 42, 43, 44, 45, 46, 47, 48, 49, 50. - Added Arcade Levels 6, 7, 8. 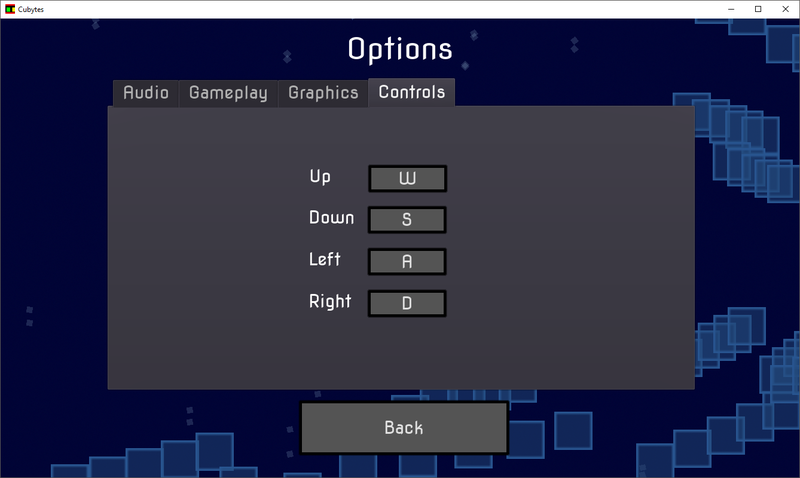 - Added an option for modifying the Background particles to the Options Menu. - Added a Credits Scene. - Added screen shake for colliding into Blocks and Bombs. - Added (but not implemented) GameAnalytics. - Added the ability to remove the FPS Counter. - Added the ability to remove Cheat Codes. - Changed version to Alpha 7. - Changed the Win scene. - Changed resolution picker to a drop-down menu. - Changed the appearance of the slider. - Changed Player Movement (Slightly more controllable, slower). - Changed the Pause Menu slightly. - Fixed Cheats not showing up on load into Gameplay tab of the Options Menu. - Fixed resolution not saving to the Player Settings. - Fixed Player Settings not loading on first launch. - Fixed the Black hole sound effect not being on the SFX bus. - Fixed the window not being centered when resizing. 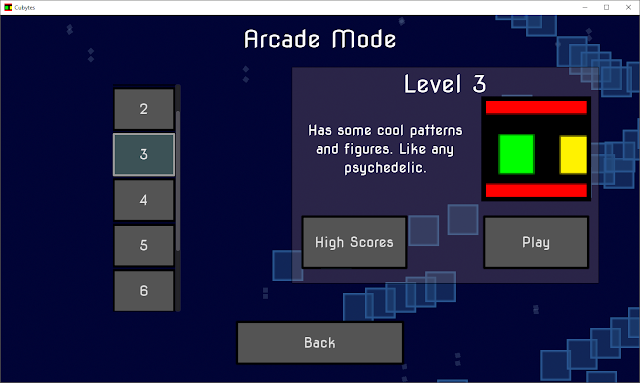 - Fixed Arcade Mode not presenting a level on loading. - Decreased the maximum amount of Background particles. - Made the Black Hole spin. - Removed the button outline when clicking a Checkbox. - Removed the Deaths UI in Arcade Mode. Alpha 7. 9pm. Be here.